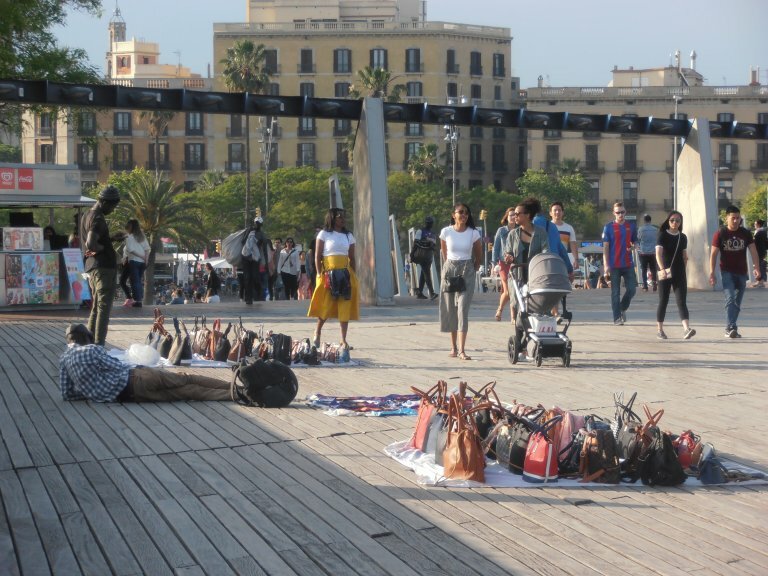 By day, dozens of African refugees and migrants line up along Barcelona's iconic street, La Rambla, selling cheap copies of branded bags and accessories. As night falls, Middle Eastern and Asian migrants take their place, offering beer, entry tickets to clubs and drugs. 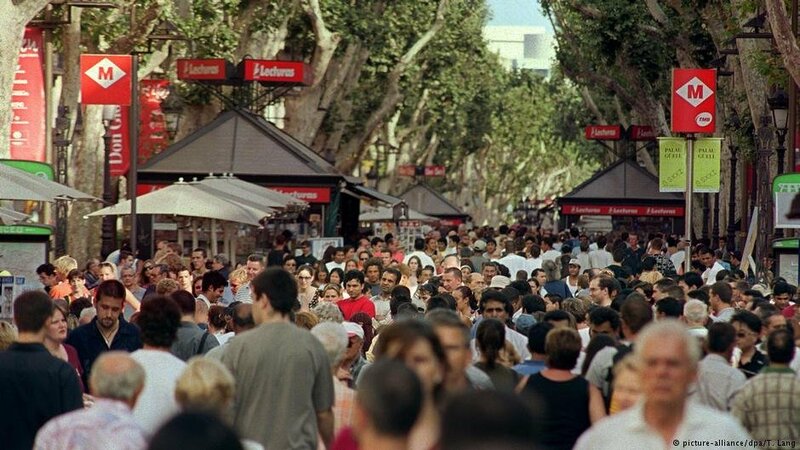 "Business is really good all year round at La Rambla," said Rashid Ali, a migrant from Pakistan. Decked out in designer clothing head to toe, Ali displays an aura of confidence and composure not common in migrants. "I always dress this way as it is important for my business. I organize parties and if you want to sell tickets to tourists, you have got to appear presentable," he added. Ali comes from Gujrat District in Pakistan's Punjab province. The district has the highest concentration of human smugglers in Pakistan, locally known as the 'agent mafia.' Illegal migration from many cities across Gujrat to Europe is a decades old phenomenon. Ali left Pakistan in 2006 when he was just 22 years old. He didn't beat around the bush about why he migrated to Europe. It was for a better life —one that would not be possible in his native town of Jalalpur Jattan where he didn't even complete primary school. Ali spent eight years in Italy before moving to Spain in 2014. In Spain, Ali organizes parties for a living. He makes enough money to send his mother a hundred Euros per month and recently also paid for all the expenses at his sister's wedding. His family is proud of him and considers his decision to live in Europe worthy. Ali has rented a place for himself in the suburbs, which is considered a kind of luxury among migrants. But not everyone enjoys the same kind of life that Ali does. "Most of the other migrants from Pakistan are into selling beer and drugs here," he told InfoMigrants. Ali added, "I could afford to buy a contract worth 15,000 Euros which guarantees a residency permit, but most of my fellow countrymen can hardly make ends meet." 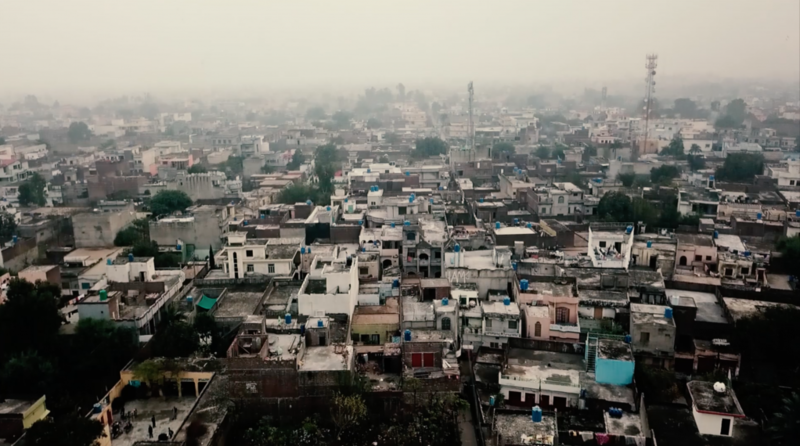 Although Ali accepts that his life is not representative of the vast majority of Pakistani migrants in Spain; there are aspects of life in which he finds himself in the same boat as other migrants and refugees. Like many others, Ali is afraid for his future in Spain. "We see that a right-wing party is gaining ground in southern Spain. So it has started here as well." Just like in Germany, Austria and Italy, the arrival of a large number of refugees and migrants fueled anti-migrant sentiments and seems to have increased the popularity of right-wing parties. Last year, Spain became migrants' preferred destination. "And you know what that means?” said Ali with a rather worried look on his face. He told InfoMigrants that the tightening of policies and law enforcement is already being felt. "I have been standing here opposite the famous Boqueria Market for the last few years and the police have never searched me. But I have been searched three times in three months now. I dress this way so that they can differentiate between people who sell drugs and who are just here to hang out, but now, they make you stand in the same line and search you. I don't like that at all," Ali said. The 34-year-old migrant told InfoMigrants that the people of Catalonia - an autonomous community in northern Spain, are racist compared to people from other parts of Spain. "Barcelona is very touristy. You have people from all over the world coming here throughout the year. So you don't really see racism on the streets, but when you have to live here and deal with the bureaucracy, that's when you notice it," according to Ali. He said that it doesn't matter whether you sell beer on La Rambla for a living or have a regular job and pay your taxes, you are judged on the basis of your skin color. "Try renting an apartment in a good area in Barcelona, you will witness what I am trying to say," stated Ali. Having spent several years in Italy, Ali has close acquaintances in the country and regularly visits it. He told InfoMigrants he feels that he took the decision to leave Italy at the right time. "Life is miserable over there right now for refugees and migrants. I think Salvini is creating a situation where the ones who remain in Italy after his anti-migrant measures, will be compelled to end their lives," Ali said. He is referring to the strict migration policies adopted in recent months by the Italian Interior Minister, Matteo Salvini. But Ali is quite certain that things will not remain an 'El Dorado' in Spain either. "As long as the imbalance between the east and the west, the rich and the poor exists, people will find a way to exploit the loopholes and reach greener pastures. But with policies getting more and more hostile, and people getting more and more impatient, the last oasis for migrants and refugees in Europe i.e. Spain, will not be the same in a few years from now," concludes Ali.